Gratuity Express helps you quickly figure out the gratuity based on multiple factors of the service you receive. No other tip calculator works this way. Not sure how much you should tip? Ever wonder if you're leaving too little or too much? Gratuity Express helps you tip on the quality of your experience. 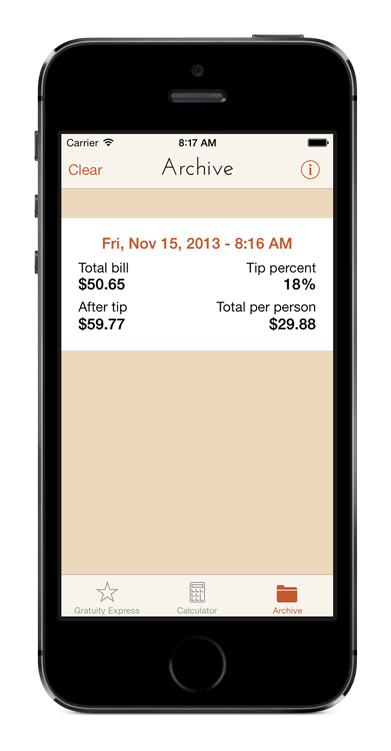 Simply enter your total, answer a few quick questions and let Gratuity Express figure everything out for you. 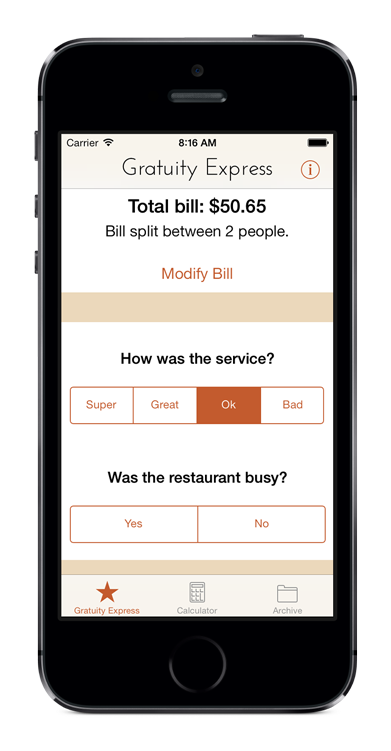 Gratuity Express allows you to save your expenses so you can review them later on. No need to take receipts home. Split the bill between multiple people. A few quick and easy to understand questions for figuring what to tip. 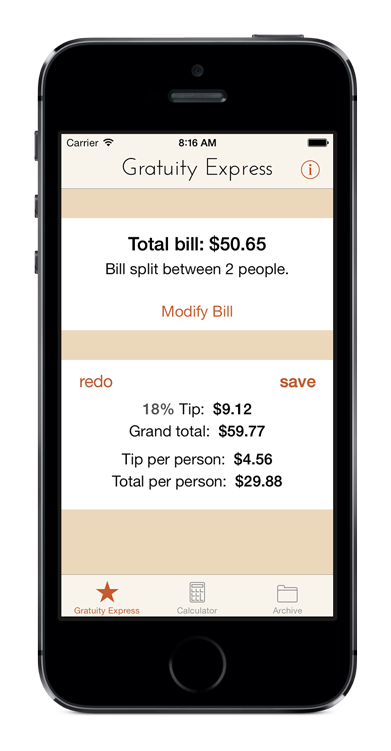 Simple calculator mode for when you know exactly what percentage to tip. Comprehensive breakdown of tips and totals, both per-person and for everyone. Archive your transactions for future review.